Updates will be posted at the bottom of the thread. Hello! I never thought I'd have to write a bad review about another artist, but I've finally run into a situation that pushed me past my limit. What: 2 waist up experimentally colored images. 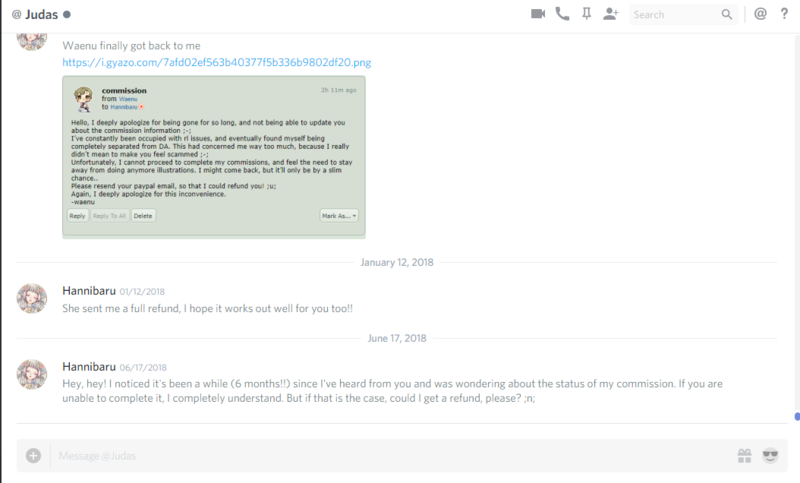 Issue: Art remains undelivered as of June 9th 2018 despite being paid for, contact has been dropped multiple times. I'll try and keep this concise as possible because I just want to get straight to the point. My notes have been ignored by Tabanei at various intervals of our transaction and the most I've received was some extremely basic skeleton sketches for posing and a piece of apology art. June 25th - Dec 11th 2017. For the sake of recording these dates side by side, these are the notes that went back and forth for the payment, and then my first prodding in December. Here is the note where the the invoice had been sent. Here is the invoice in question, paid by myself. Here is the Dec 11th response from Tabanei & my providing of new references. On Jan 28th I checked in again using a note from our previous correspondence and received no immediate response. On Jan 30th I received an apology as well as art that had nothing to do with what I paid for. While I was thankful to receive something, I can't help but feel bitter that time and effort was wasted giving me something I didn't pay for. On the 12th of Feb I received some poses as well as a reminder about the gift art. I hadn't responded initially because I was annoyed that anything was done but what I was paid for, but I failed to mention it directly to Tabanei because I hadn't wanted to sour our relationship before our business was complete. On the same day, I responded thankfully and also provided new references. This note remains unread as of posting this thread. On April 15th, I sent a note on dA because of my ignored TH note. 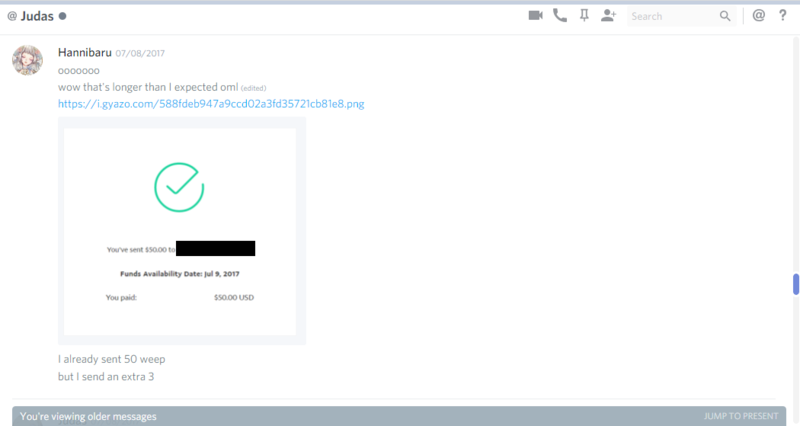 This prompted a relatively quick response which was sent on April 22nd. As instructed, I provided new references again on the same day along with my honest feelings on the situation, but this note also remains unread as of posting this thread. 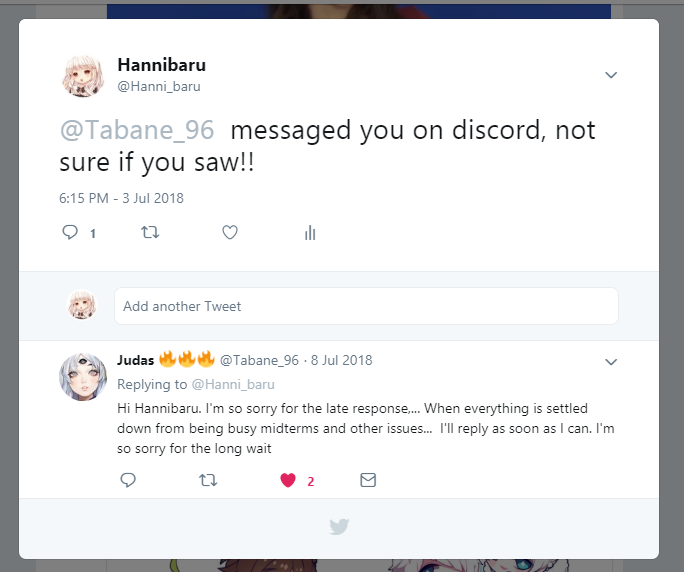 Today (June 9th) I gave Tabanei one stern message & a warning that I would be posting this thread. As a closing message, I just want to clear up some things. On the outside I'm impatient as hell, I love getting new art and I'm always triple checking my inboxes when I sent off information. On the inside however, I can be extremely lenient and patient. The only thing I require is contact, honesty, and the ability to pull out of an agreement at any time if I'm not getting what I paid for. It's what I offer to my own customers, and it's all I would expect from others. I understand that art takes time and the best pieces are done when someone is enjoying themselves. I am by no means a quick artist, I've taken several months to a year on pieces myself. But I will never intentionally shirk contact with my buyers, nor will I ever trap them into an agreement where they aren't offered a refund as an alternative when I have nothing to give with an update. Dropping contact is inexcusable. 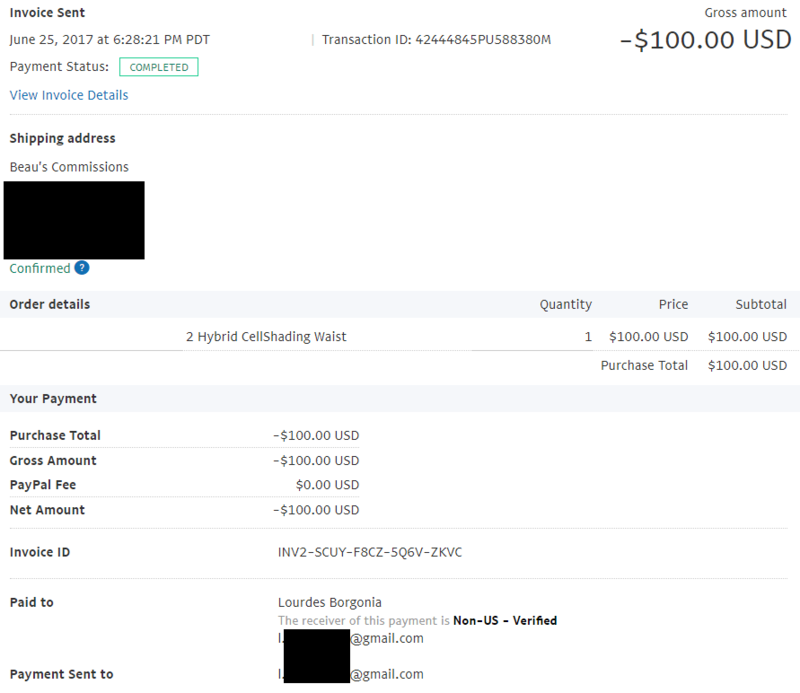 This is a business transaction with real money involved and your customer deserves as much respect as anyone or anything else in the real world that deals with real money transactions. Your buyers are not people you can simply forget or put on the back-burner until it's convenient for you. Either way, I hope this issue gets resolved and that Tabanei learns from their mistakes. Update: June 11th I received a response to my last note, with a promise to finish the owed art. 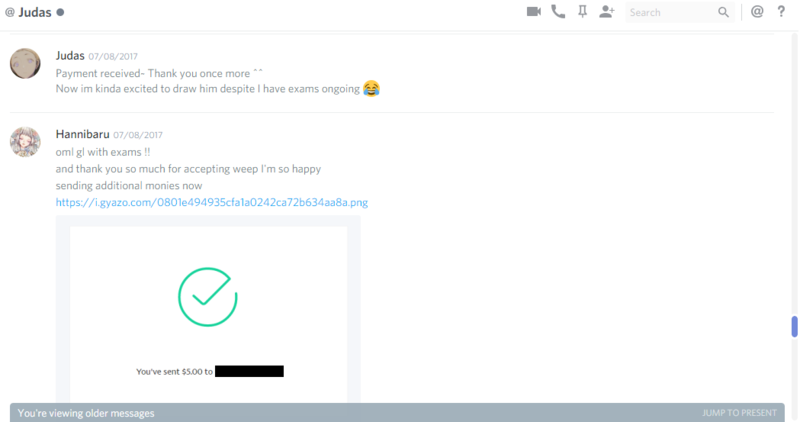 Update 2: June 19th I received one of my commissions complete, there is still one more to go. Update 3: After a bit of back and forth with WIPs, both pieces have been completed and delivered to me on July 21st, concluding my business with Tabanei. Although this warning has done well to push forth the reality of the situation and see my pieces to completion (and with no shortage of effort, I might add!) I am deeply hoping that Tabanei offers their remaining customers the same amount of effort they offered me. As far as I'm aware, there are still a number of unfinished commissions, so this beware will remain up as a precaution to those who may consider ordering in the future, and for those who are still awaiting their products as well. I encourage everyone to post here if they get updates on their commissions, so that we might have a point of reference regarding whether or not others are being done. My commission was finished, and I was ready to be done with this thread hoping Tabanei has learned her lesson, but unfortunately that is not the case. 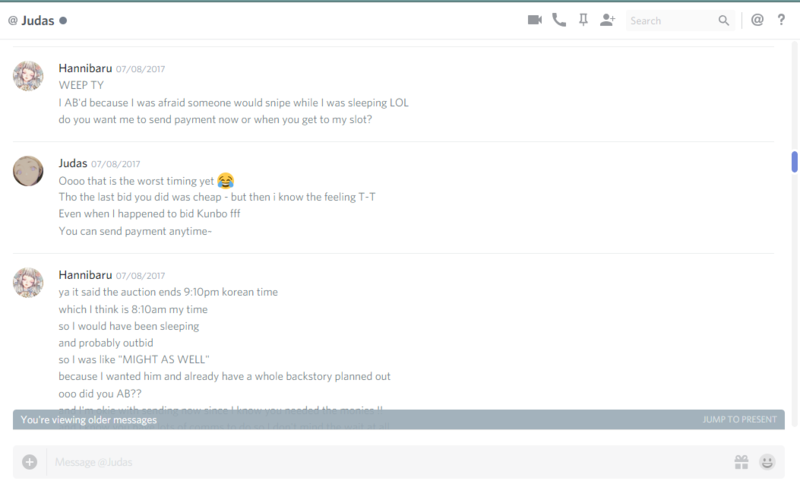 At least two users are still being ignored in regards to contact about overdue commissions, some which have been going on for months without any response. 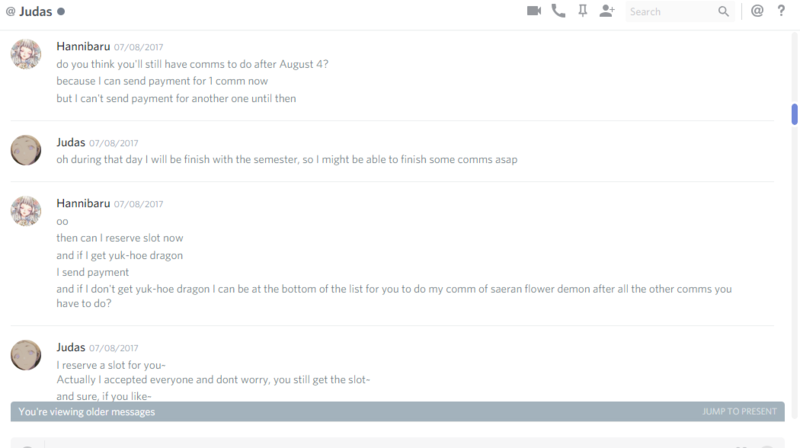 I would not commission this user at all, as they've shown that as of right now with their outstanding commissions they cannot be trusted to finish or refund past projects, much less keep in contact with customers in a reasonable timeframe. Vin MisoHungry both have contacted me/this thread asking if anyone else has come to me speaking of their commissions being finished. If they wish to show images of their correspondence via comments on this thread, I'll link to the individual posts to show them. MisoHungry She told a friend of mine to DM her additional info, but as expected, their messages have gone unanswered for months. I'll update the OP a bit to reflect this. I too am still not getting any responses from her, I'm waiting on a commission I paid $60 for in the summer of 2017, as well as 2 or 3 trades from later that year. I'm on mobile right now, but can provide proof once I'm home. Additionally I messaged her about a week ago and was not answered. My last update from them was a flat colored bust WIP on 8/26/18 via Twitter, but haven't heard from them or tried contacting them since. I just sent a Twitter DM asking about progress. 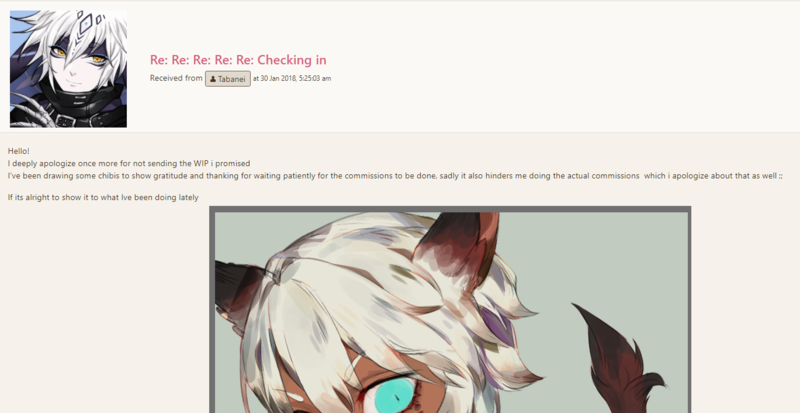 I commissioned Tabanei as well back in July 2017 and still have not received a finished commission (or refund). I wanted to peacefully talk things out with them before filing a dispute, but they still have not responded. I had hoped maybe they would realize the gravity of the situation and at least attempt to work something out with me, but that was not the case. It has literally been over a year, and now I am unable to file a chargeback because I had waited so long to try and take action. I really enjoyed talking with Tabanei and was very excited to commission them, which was why a chargeback was my absolute last resort. Even then, I wanted to give them the benefit of the doubt, and it lost me the only opportunity I really had to get a refund somehow.